Intellectual Property (IP) is at the center of our high tech world and how it works. Relatively few understand it, but it shapes the structure of society, how the tech industry develops, the companies that lead the world. And who gets locked out. Today’s “patent wars” fight over yesterday’s patents. The most visible fallout is that Apple/Samsung have filed over 50 lawsuits worldwide by mid-2012. What they fight over is old patents. Today’s innovations are much bigger than any one company – even Apple and Google. Tech IP comes from so many sources that accessing and buying others’ IP both broadens access and saves money for large companies compared to using their own expensive R&D to create all their IP. Why? Because you’re too late as soon as someone else creates the IP. You’re forced to not use it, invent around it or steal it. Stealing IP is risky because others can buy the IP and use it against you – their back-rent is your profits. If available, the IP needed is bought. It’s like M&A without needing to buy whole companies. Expandiverse patents can be foreseen, expected, and may start shaping some business decisions. For example, the first Expandiverse patent just issued, US Patent 9,183,560. Within two months over 350 subsequent patents have cited this application and patent, including 62 patents from 8 of the 10 biggest tech companies in the world: Apple, Google, Samsung, Microsoft, IBM, Intel, Oracle and Hon Hai (Foxconn). How does this work? How does the IP for tomorrow’s digital world control today? Just ask: Where will the ball be tomorrow? Will you have rights to that IP, or will you be locked out because a dominant competitor owns it? The Prisoner’s Dilemma: Who will control Expandiverse IP? The race to control tomorrow’s digital world is a prisoner’s dilemma (look it up). Expandiverse IP exists. We’re locked in together. The inventor’s dilemma: An inventor can create a new kind of Digital Earth but not build it, so this is the stage when a better owner starts being found. The inventor’s goal: An ideal owner will make Expandiverse IP widely available at low or no cost, with easy licensing, so large advances may be made quickly by everyone. If your company is in this war, your future changes if Expandiverse IP winds up controlled by one of your leading competitors. The patent office divided this into 31 technology areas, and new patents can be filed through 2031. This IP’s owner will decide which Expandiverse patent applications are filed and in what order. That IP will determine who can enter an Expandiverse Digital Earth, and for what price. If you are trying to defeat the IP owner’s ecosystem, your choices may not be easy or cheap. Even though few understand it, well thought out and defined IP shapes how society develops, who leads the world economically – and who gets locked out because they failed to obtain IP rights. Make it a point to understand these Patents From the Future and the long term competitive advantages they will trigger. The IP rights are here and your digital future is now. 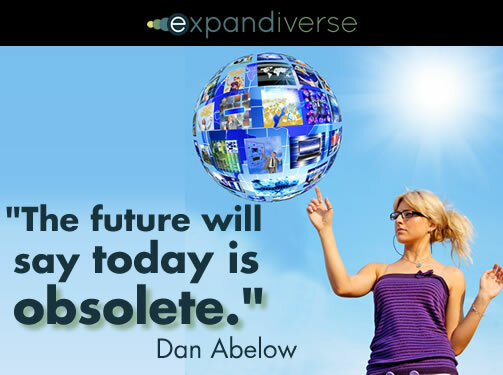 Share the post "Patents From the Future™: How Expandiverse IP Affects Today"